Mary Gates Hall, the center for undergraduate education, is located on the older part of the University of Washington campus. It is surrounded by a collection of collegiate Gothic buildings, forms the eastern edge of the Mt. Rainier vista and is directly opposite the monumental Suzzallo Library. The addition and renovation contains 175,000 gross square feet of technologically sophisticated classrooms and computer labs, office spaces and commons. 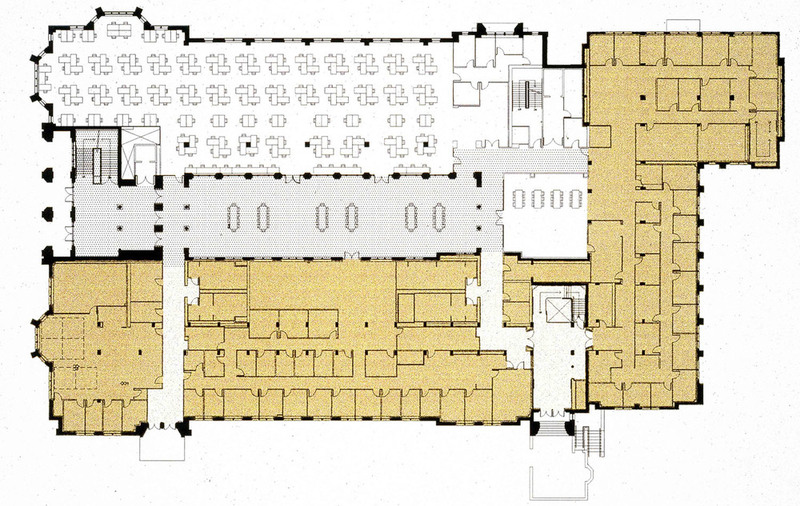 It adds two additional legs to the original “L” shaped building, transforming the footprint into a quadrangle with the skylight-covered commons at its center. 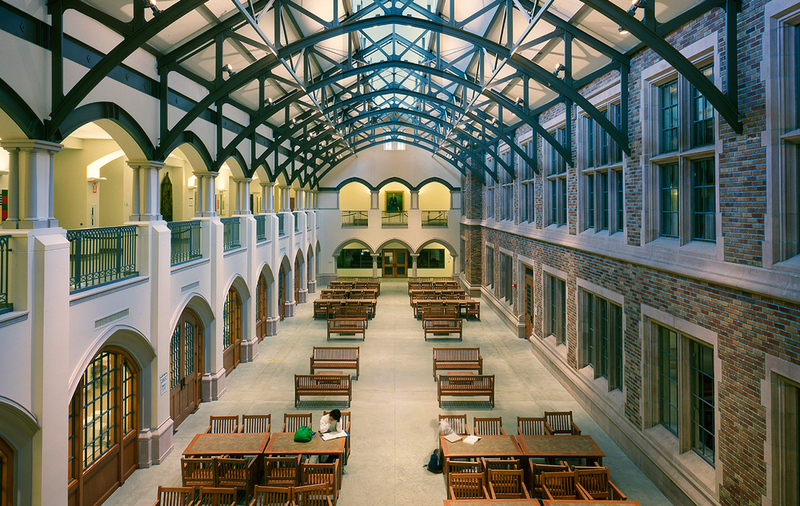 The articulated brick and cast stone north facade, with a new arcaded entrance and large, single-gabled end bay, complement and complete the original double-gabled end bay and define the exterior space between Mary Gates Hall and Suzzallo Library to the north. The addition’s east side is formed by a related collection of gables, bays and buttresses. The interiors focus on the commons. The articulated steel trusses supporting the skylight and the arched masonry openings and buttressed walls of the addition echo the exposed masonry wall of the original 1928 building in this light-filled area.